At Tadpole Farm CE Primary Academy (TFCEPA), we welcome everybody into our community. The staff, Local Board Members, pupils and parents work together to make TFCEPA a happy, welcoming place where children and adults can achieve their full potential and develop as confident individuals. This means that equality of opportunity must be a reality for our children. We make this a reality through the attention we pay to the different groups of children within our school family, thus providing a learning environment that enables all pupils to make the greatest possible progress and achieve their full potential in a caring, supportive and fully inclusive environment. Our SEND provision allows pupils with learning difficulties the opportunity to follow a curriculum specifically tailored to develop life skills and to give pupils self-confidence through their learning thus enabling them to maximize their potential and to work independently. We are committed to narrowing the attainment gap between SEND and non-SEND pupils. This may include short-term intervention learning programmes, skills groups and other learning interventions developed to personalise learning. Having a good attendance is key and we are pleased that pupils want to come to school to experience our high quality learning provision. a place where a love of learning grows through all we do. TFCEPA is part of the Diocese of Bristol Academies Trust (DBAT), which is an organisation with a Christian foundation. The ethos, values and relationships of the Trust, and its associated academies, are central to witnessing to the values of the foundation. 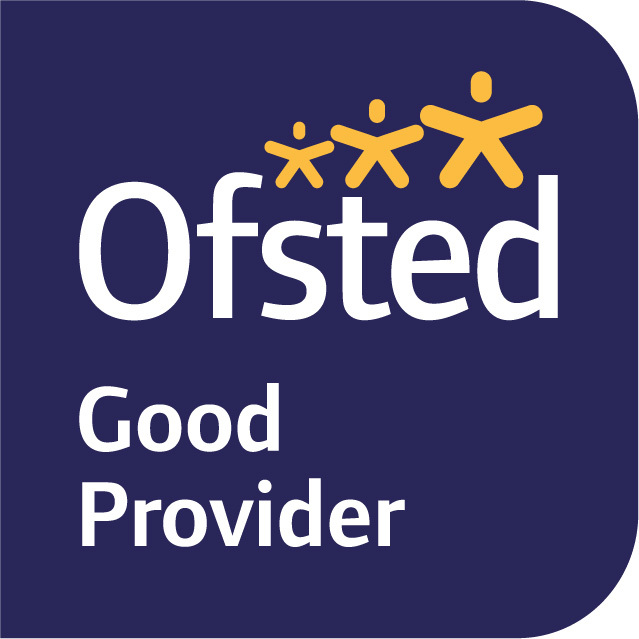 The Trust is committed to providing an environment which values and supports the needs of all pupils, staff, parents and visitors regardless of their educational, physical, sensory, social, spiritual, emotional and cultural needs. The Trust is further committed to challenging attitudes about disability and accessibility and to developing a culture of awareness and inclusion. This SEND Information Report and Contribution to the Local Offer are provided to comply with the ‘Special educational needs and disability Code of Practice 0-25 years (June 2014)’. What kinds of special educational needs are provided for at TFCEPA? Tadpole Farm CE Primary Academy (TFCEPA) is an inclusive mainstream academy. Admission of children with special educational needs is considered in line with our admissions policy, which relates equally to all children. a. Has significantly greater difficulty in learning than the majority of children of his or her age in one or more areas of learning. Academic criteria are adhered to when making a decision. The threshold for each year group varies. We use our best endeavours to ensure that necessary provision is made for any individual who has special educational needs (SEN), in co-operation with the local authority. We make reasonable adjustments to ensure that children are not at a substantial disadvantage compared with their peers. We constantly strive to improve the accessibility of our school and curriculum. Our school is on one level and so is easily accessible to children with gross motor difficulties and those with wheelchairs. Special Educational Provision is that which is additional to, or different from, that which is made generally for most children in school. Assessment is an ongoing core process throughout the school. It is a check that each child is making adequate progress against the national expectations set for each year group from Nursery through to Year 6. If a child is not making the expected progress, then we identify a need and determine the reasons why. demonstrates improvement in a child’s behaviour allowing them to be receptive to learning. How does the school know that my child needs help? Working alongside and in partnership with you, we make sure we are regularly in discussions with parents about the welfare of the children. All the staff are involved in monitoring the children’s progress carefully and put in interventions to support any child that needs support or challenge beyond normal class differentiation. Progress Meetings are held every term between class teachers and SLT to monitor the progress of all children. The class teacher will discuss specific children with the SENDCo and the decision may then be taken to gather further evidence by looking at work, making observations or carrying out assessments to help identify any special educational need the child may have. Parents and carers are fully involved in this process too as this way of partnership working is vital. The school holds parents and carers meetings in the Autumn and Spring terms. More regular meetings are instigated by both parents and staff if the need arises. How will TFCEPA support my child? Children who have been identified as having special educational needs will receive additional targeted support aimed at enabling them to make progress in order to close the learning gap with their peers or, if currently working beyond their peer group, to make progress at a suitable rate to their needs. The amount, type and frequency of support will depend on the needs of the child. Sometimes this will be done in class, either by the class teacher or the teaching assistant. Sometimes the child might be learning using a specific programme either 1:1 or in a small group. The SENCo works to support, monitor the impact of and advise with this work. SENCo works with the assigned Local Board Member for SEND to monitor the impact of the additional support in place. Children may be part of group provision mapping (short term targeted intervention in small groups); may have an Early Help Record (EHR) or may be considered for an EHCP (Education Health Care Plan). Whatever stage they are on, you, as parents and carers, will be fully informed and involved. What external services do you use?What external services do you use? When a child is demonstrating further cause for concern or their learning need is more complex and persistent than can be met by the school interventions already put in place, school will engage with relevant external services. Links with outside agencies are well established and transition to and from other schools locally is very good due to our close liaison with these schools. Our own staff have extensive experience with autistic spectrum needs; attachment needs; persistent demand avoidance syndrome; pastoral support; art therapy; phonic and reading support; dyslexia needs and speech and language therapies. How will I know how my child is doing and how will you support me to help my child’s learning? We are always happy to discuss your child with you - a member of staff is usually available first thing in the morning or appointments can be made at the School Office. In addition to this we hold parent and carer’s evenings – these involve 2 10 minute sessions twice a year that yourselves and your child attend together; parent drop-in sessions to look at show cases of children’s learning; parent information sessions about how we teach at TFCEPA and how you can become involved at home; annual report to parents comes out in July each year; induction sessions for each year group. In some circumstances we will, in agreement with you, set up additional communication sessions or home-school books to help support your child. We are always happy to discuss your child’s feelings and progress with you at any time. The staff are available for brief discussions in the morning and a member of our Senior Leadership Team is usually available on the gate in the mornings too. If you need a longer discussion then please pop in to the school office to book an appointment. Although we have regular parent meetings we always prefer you to contact us as soon as a concern arises so that we can work together to resolve an situation. How is my child involved in this process? Children are at the heart of all we do and their understanding of their own needs and skills is key to our ethos here at TFCEPA. Children, with parental agreement, can have 1:1 specialist support to enable them to talk through their feelings and find ways of dealing with things that have happened to them. All the children are involved in target setting and assessment and contribute to parent review meetings and their own reports at the end of the year. The ethos of our school encourages all children to appreciate themselves and others for the skills they have and to celebrate their own and others achievements of the next steps in learning. My child is coming to or leaving your school - how do you support transition? Whatever year group your child joins us in they will be offered the opportunity of one or more shorter trial sessions to help them settle in and, if joining in any other year group than YR or YN at the start of the year, will be buddied up with another child or children who will take care of them for the first few days/weeks. Your child will also be given some 1:1 time each week with an adult for the first term to give them time to ask any questions that they need to ask. As parents you too will be invited to short meetings after school at least once a fortnight for the first term to give you time to ask questions about the settling in period. If your child has specific needs already identified we will liaise closely with the previous school or placement to ensure a smooth transition. For children leaving us to go to another school or to move on to secondary school we will ensure that all necessary information is passed on to make the transition to their new school as smooth as possible. If your child has specific needs we would work with the new school over extended transition arrangements of these were necessary.